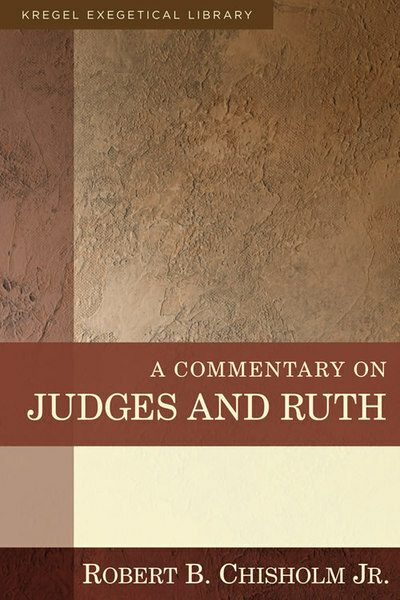 This definitive commentary sheds exegetical and theological light on the books of Judges and Ruth for contemporary preachers and students of Scripture. Listening closely to the text while interacting with the best of scholarship, Chisholm shows what the text meant for ancient Israel and what it means for us today. In addition to its perceptive comments on the biblical text, it examines a host of themes such as covenants and the sovereignty of God in Judges, and providence, redemption, lovingkindness, and Christological typology in Ruth. In his introduction to Judges, Chisholm asks and answers some difficult questions: What is the point of Judges? What role did individual judges play? What part did female characters play? Did Judges have a political agenda? Chisholm offers astute guidance to preachers and teachers wanting to do a series on Judges or Ruth by providing insightful exegetical and theological commentary. He offers homiletical trajectories for each passage to show how historical narrative can be presented in the pulpit and classroom. Robert B. Chisholm Jr. (ThD, Dallas Theological Seminary) is Department Chair and Professor of Old Testament Studies at Dallas Theological Seminary. He is a translator and the Senior Old Testament Editor of the NET Bible. Chisholm's other publications include Interpreting the Minor Prophets, Handbook on the Prophets, and A Workbook for Intermediate Hebrew.